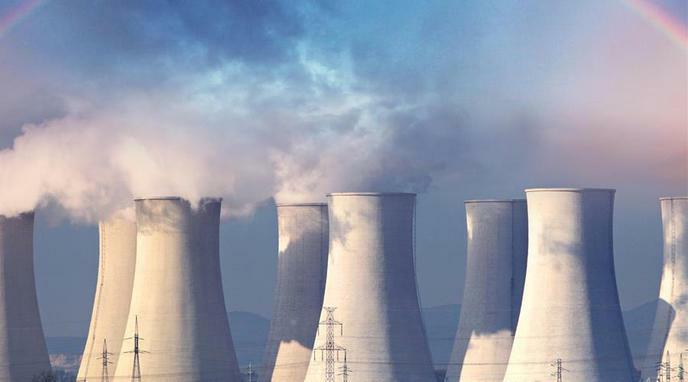 Do we need nuclear power for sustainable energy production? There are serious safety concerns with the use of nuclear power. Living close to nuclear power plants increases people's chances of developing serious illnesses. Hydrogen explosions may result from the failure of specific alloys and components integral to some Nuclear Design. Evidenced by Zirconium-Hydrogen reaction from Fukushima. Airplanes can fall onto nuclear power plants. There is a risk of terrorist attacks on nuclear power plants. This is dangerous. Accidents can have major consequences because they release radioactive materials. Nuclear power produces lower amounts of particulate pollution than other forms of power, reducing illness. fewer people than fossil fuels, per kWh. Rooftop solar panels are estimated to produce 0.44 deaths per TWh; This is more than for nuclear fission with 0.04 deaths per TWh. Because of the nature of nuclear power and the centralised way it is produced, nuclear accidents tend to be bigger in scale than other forms of sustainable energy. Therefore perceptions of the danger are distorted. The nuclear plant disaster at Fukushima is small compared to the natural disaster that caused it. Emerging nuclear technologies like thorium (LFTR) will eliminate safety concerns. There is more than one way to derive energy from atoms, and more than one type of atom.